The Unhappy Saga of Novelist Tom Clancy's Estate Continues — Talbot Law Group, P.C. Chapter Two continues the unhappy saga of the troubles of Tom Clancy’s estate. The main players in this drama are the two wives of Tom Clancy; his first wife, Wanda King, who was married to him for 30 years, and his second wife and widow, Alexandra Clancy, married to him for 14 years. The drama revolves around the character of Jack Ryan, hero of Clancy’s famous novels and now a legal entity unto himself. The lawsuit filed by Alexandra Clancy challenges the relationship between the Clancy estate and Jack Ryan Enterprises Ltd. and Jack Ryan Limited Partnership. These two companies were created after Clancy’s death by the personal representative of his estate to handle the ongoing business of the Jack Ryan books. 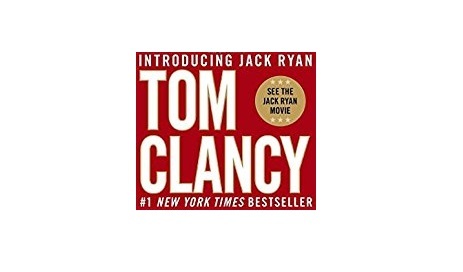 The character Jack Ryan lived on after Tom Clancy’s death with posthumous works written in the same style as Clancy’s writings but authored by other people. And it is these books that have caused all the fuss, since Clancy’s first wife Wanda is due 40% of the profits. The lawsuit calls into question the actions of J.W. Thompson Webb, the personal representative of Clancy’s estate and the author of the two businesses that were created to deal with the ongoing publishing of the Jack Ryan books. According to the Baltimore Sun Alexandra Clancy says Webb violated his fiduciary duties by favoring the two Jack Ryan companies and wants the judge to say that the Jack Ryan character belongs only to the Clancy estate. The big question is who owns the rights to Jack Ryan, because those rights are worth a lot of money. So we ask ourselves - could Tom Clancy have foreseen the inevitable complications that Jack Ryan would cause and planned his estate accordingly? Can any of us see into the future and glean some idea of what will transpire after we depart? The job of your estate attorney is to be aware of the complications that are possible - and to prevent them before they happen. For questions about Estate Planning and preventing a probate lawsuit contact our Walnut Creek Trust and Probate Law Firm at 925-322-1795 to set up a consultation.